Experience unprecedented convenience and safety for your plate–based cell culture experiments. 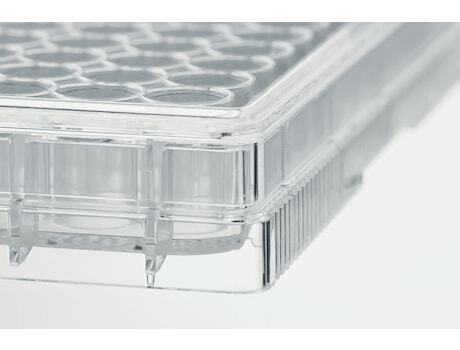 Eppendorf Cell Culture Plates are available in 6–well to 96–well formats with TC treated or non–treated surfaces. 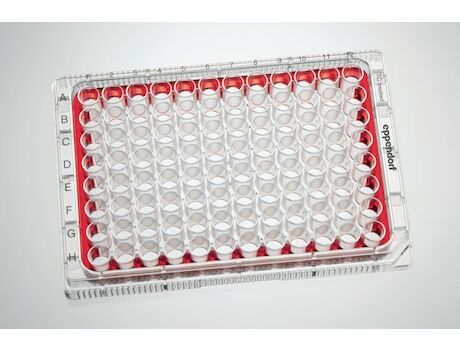 Eppendorf Cell Culture Plates are tailored for the expansion of smaller cell numbers as well as for cell-based assays. Qualification of cell morphology and cell performance can be especially critical in those steps. 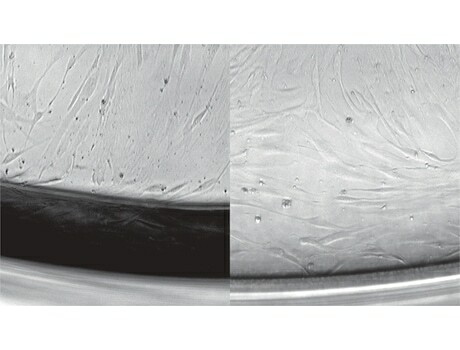 We optimized the optical performance by enhancement of the planarity, material clarity, and reduction of the liquid meniscus to facilitate both manual and automated read-out. Contrast rich alphanumeric OptiTrack® labeling allows for easy orientation and fast identification of individual wells. The new chimney-well design avoids inhomogeneous growth of cells in the outer ring of wells which reduces costs and increases efficiency. If cells need to spend more time outside of the incubator, filling the inter-well spaces of the plate will keep the temperature stable and prevent unwanted temperature shifts. The lid and plate bottom can easily be differentiated providing extra safety in transportation and stacking. The outer moat of the 96–well plate can be filled with liquid due to the innovative new chimney–well design of the plates. Thus inhomogeneous assay results due to the "edge effect" can be minimized.